Gov. Almakura meets with LGA leaders, IMC Chairmen, DA Overseers and DPMs to find a way forward for effective development at LGAs. His Excellency Umaru Tanko Almakura has described the Local Governments as the major component for the development of the entire state, stating the need enhance their efficiency and functions within the areas for the benefit of all the people of the state. 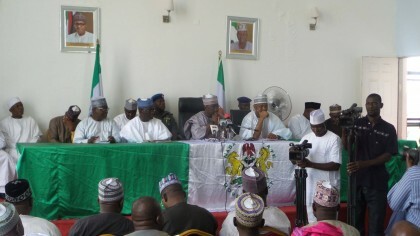 The Governor made this known as he received LGA Chairmen, IMC Chairmen, Development Area Overseers, and Directors of Personnel Management (DPMs) at the Government House for a meeting that would clearly interpret and spell out the rules which everyone within the local government is expected to play. The Governor congratulated all the Interim Management Chairmen and Development Area Overseers for successfully taking charge of their various Local Government Areas. He described this as a model for effective local government administration that was being practiced to ensure the effect of the third tier of government was felt by all the people. 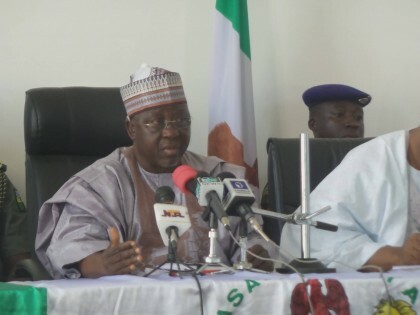 Governor Almakura said they were left to fend for themselves, to develop the capacity building, incentives, and drives to ensure government activities moved on. The Governor cites lack of funds due to lack of inflow, the problem of over-employment by means of reckless appointments, and initiatives that do not add value to the people as the major problems being faced by the Local Governments. Adding that his administration will continue to fine tune the LGAs for better value to the people.